I loved these candid Time magazine snaps of Hillary Clinton and Michelle Obama backstage at the Democratic National Convention. 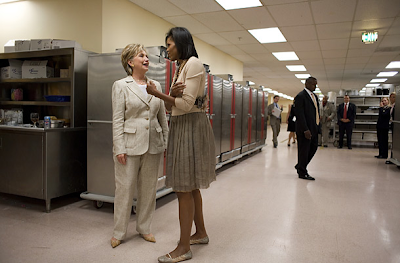 Sen. Hillary Clinton and Michelle Obama meet on the Tuesday of the Democratic National Convention. 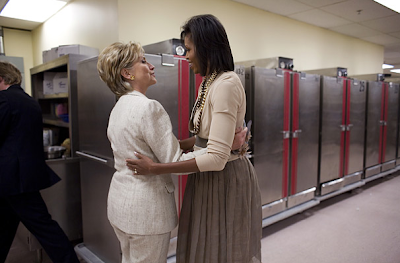 The former and potential future First Lady discuss the upcoming November Election. 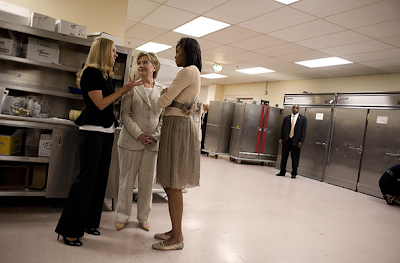 Sen. Hillary Clinton introduces her daughter, Chelsea, to Michelle Obama.